With the twins birthday falling in the middle of January, we always have to plan for indoors. A local pizza place had the perfect room for both friends and family, plus the bonus of food available right there. 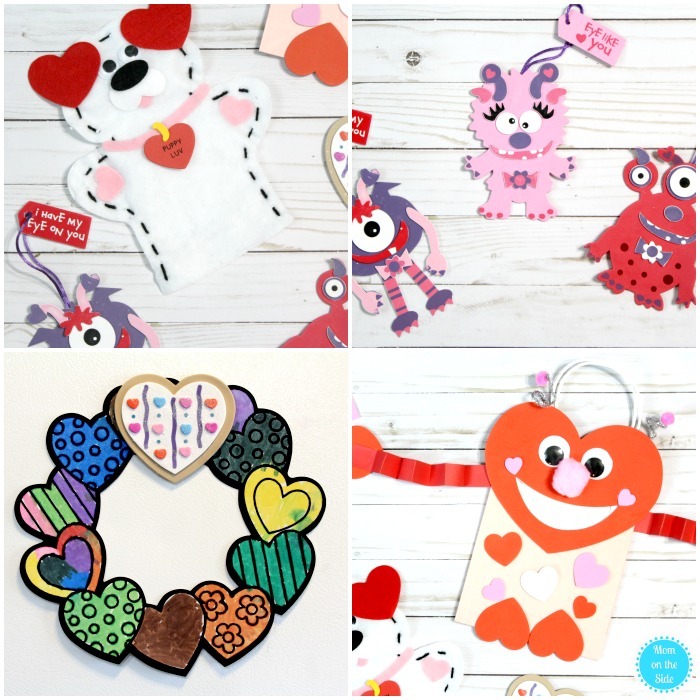 With Valentine’s Day coming up in a few weeks, I decided to have a Valentine’s Day Crafts for Kids party so the kids would have fun crafts to take home and display for the holiday. Decorating in the party room was limited to the tables and I made sure the kids’ table was the star of the show. One of the employees even asked if I planned parties for a living. Haha, nope. I’m not THAT good but it is fun! I decorated milk bottles similar to the Love Bottles I made, except using felt hearts in place of the charms. 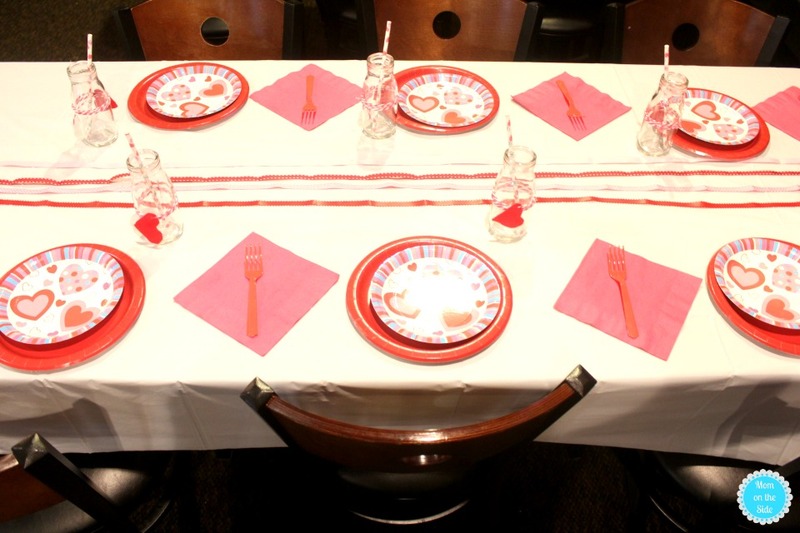 A simple heart banner, pink napkins, and silverware, along with some Valentine Hearts Plates and Valentine’s Day ribbon rounded out the decorations. 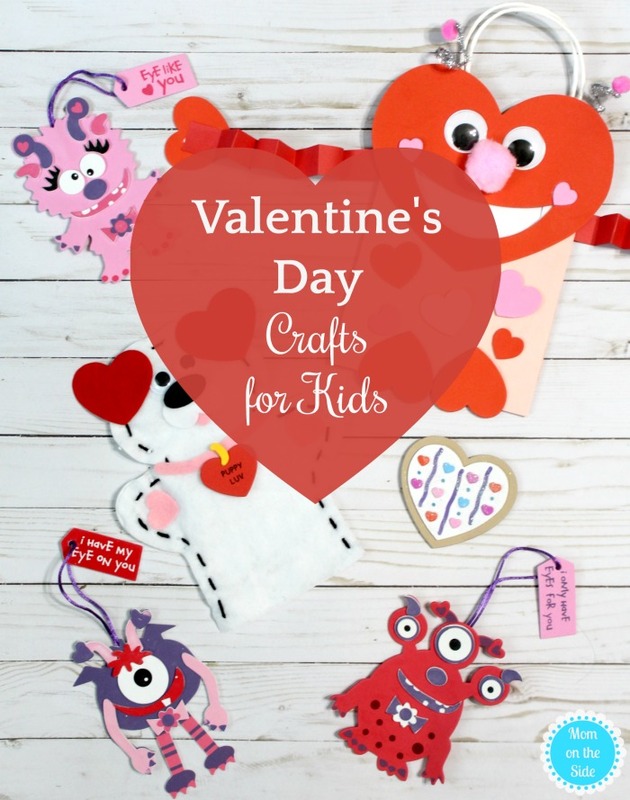 Now let’s jump into those fun Valentine’s Day Crafts for Kids! I had five different Valentine’s Day crafts for the kids to do. Spread out over two tables gave the kids plenty of space to move around and make each craft. 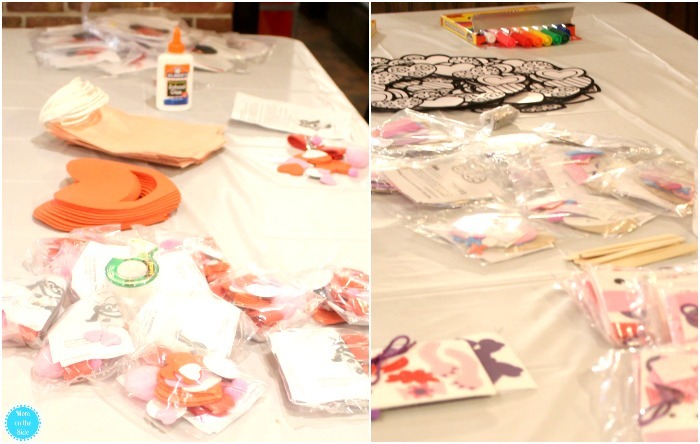 I prepared by opening packages, putting a few glue bottles and markers on the table and also made one of each Valentine craft so the kids could see what they were making. 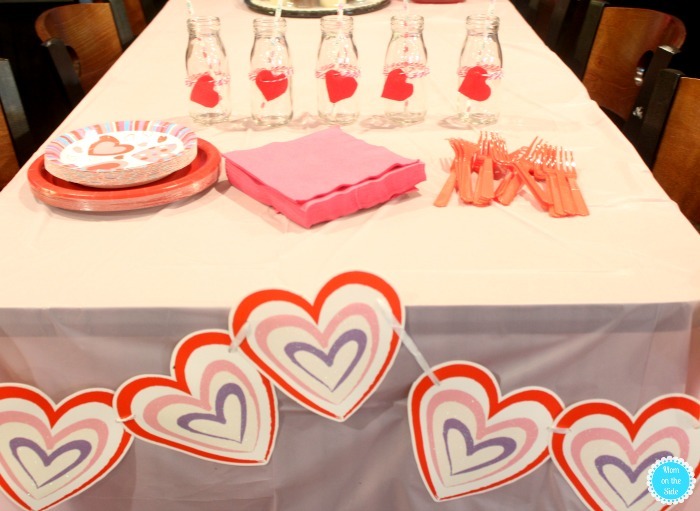 OrientalTrading.com made it super easy to have Valentine’s Day Crafts party. With tons of craft kits available it was hard to narrow it down to the five that I chose. They all turned out cute and the kids loved them! They have tons more crafts for holidays that are great for parties, classrooms, and afternoon fun on the weekend!